The British Ministry of Defence has launched exclusive negotiations with Boeing regarding a potential buy of Wedgetail E-7 airborne early warning and control (AEW&C) aircraft. Defence Secretary Gavin Williamson confirmed on October 2 that discussions with the U.S. manufacturer are underway, though exactly how many aircraft and at what cost are still yet to be outlined. Indications are that a purchase would constitute a one-for-one replacement for the existing fleet of E-3D Sentry AEW&C models brought into Royal Air Force service in 1992. 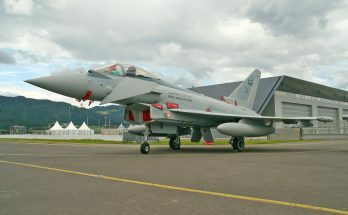 The RAF currently has six of these aircraft in its inventory, though due to maintenance issues only a few of these are readily available for operational duties at any given time. Cost estimates are placed above GBP2 billion ($2.6 billion) for around six E-7s. Boeing’s E-7 is based on a standard 737-700 airframe outfitted with an advanced electronically scanned array (AESA) radar and 10 mission crew consoles capable of tracking airborne and maritime targets simultaneously with 360-degree coverage. 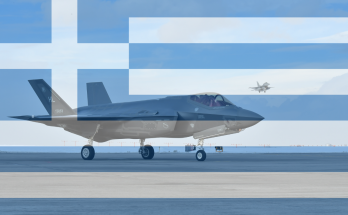 Should a procurement move forward, it will be done on a direct commercial basis rather than through the U.S. government-to-government Foreign Military Sales (FMS) channel. A new-build AEW&C purchase involves two major considerations for Britain. The first consideration is financial, as an acquisition comes at a time of major stresses on the British defense budget coupled with political and economic uncertainty surrounding the “hard-Brexit” severance from the European Union, which is becoming ever more a likelihood. Earlier this year, both the National Audit Office (NAO) and U.K. House of Commons Committee of Public Accounts laid out some harsh arithmetic for the Defence Ministry, noting that the rolling 10-year Defence Equipment Plan (covering 2017 through 2027) faces a funding gap of between GBP4.9 billion ($6.5 billion) and GBP20.8 billion ($28 billion). The GBP179.7 billion budget called for in the plan consists of GBP84.8 billion for equipment procurement and GBP88.9 billion for equipment support, plus a GBP6 billion central contingency provision. The second consideration is industry-related and involves overreliance upon U.S.-sourced hardware, an increasingly worrisome issue as Britain seeks to reset and bolster its domestic defense sector. Pushback from local defense companies and politicians has increased in parallel with the Defence Ministry’s penchant for sole-sourcing large-scale procurements, such as the $3.9 billion P-8 Poseidon maritime patrol aircraft acquisition and the remanufacturing of AH-64 Apache helicopters ($2.3 billion). But the possibility of an E-7 procurement also comes with its own positives, including a step up in capability to the E-3D Sentry aircraft and greater interoperability with close ally Australia, which already operates its own fleet of Wedgetails as well as other aviation platforms such as the F-35 fighter and P-8 Poseidon that serve to smooth defense cooperation. 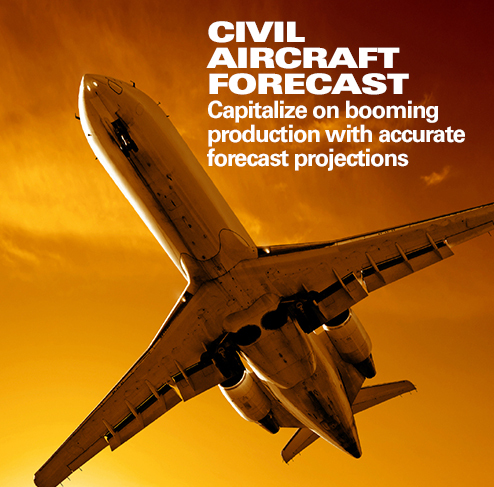 In addition, reports indicate that Cambridge-based aerospace company Marshall Aerospace and Defence Group has been lined up by Boeing to undertake conversion work on the 737 airframes, thus achieving a degree of localized work share. Further, since mid-year a handful of Royal Air Force pilots have been trained on the aircraft. The Defence Ministry states that based on its own market analysis of the AEW&C options and consultation with other providers of such platforms, the E-7 represents the best value-for-money option. Thus an acquisition appears to be a sensible one in light of the steep upgrade costs related to the Sentry fleet. An upgrade initiative had been laid out under the 2015 Strategic Defence and Security Review (SDSR) with the intent of keeping the fleet operational through 2035. However, a proposed GBP2 billion upgrade was instead reduced to a concept study in order to achieve savings and generate RAF near-term efficiencies. 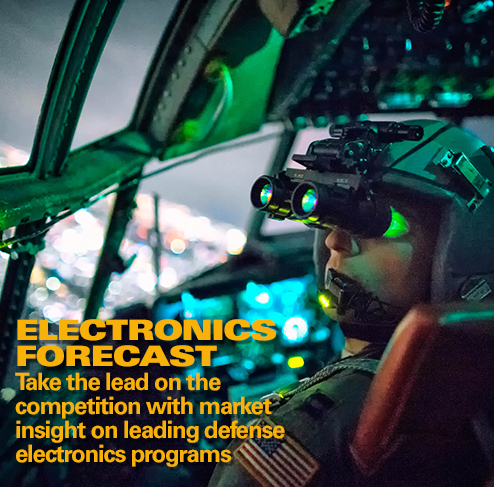 Author Daniel Darling covers Europe and Asia, Australia & Pacific Rim for Forecast International’s International Military Markets series, where he bringings a wealth of expertise on the political and economic forces shaping these markets. 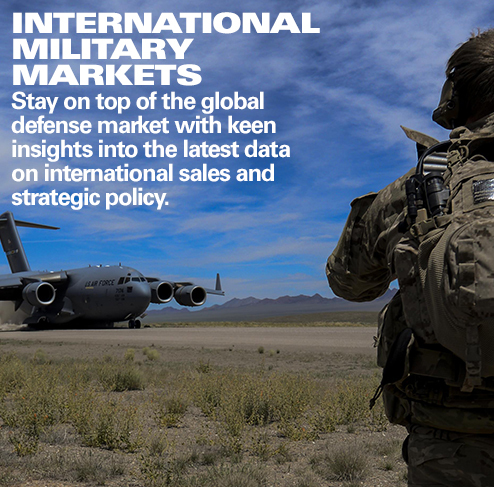 The IMM series examines the military capabilities, equipment requirements, and force structures inventories of 140 countries, with corresponding coverage of the political and economic trends shaping the defense outlook for these individual countries and regions.